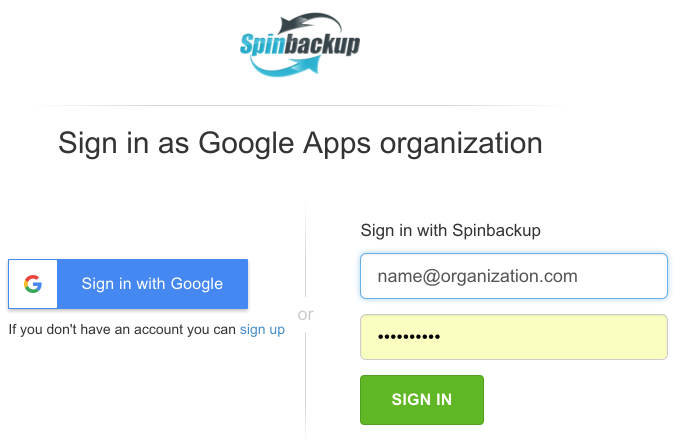 For Google Contacts backup go to spinbackup.com and create your Spinbackup account. For signing up, check our How to sign up for Spinbackup account for Business article. Automatic backup of your Google Contacts will start the day after you sign up. 4. You will see a list of all your domain users subscribed to Spinbackup. Choose the name of a user whose Google Contacts must be backed up, unfold it by clicking +/- button, and click the Google Contacts button under the user’s name. 5. In a new window, press Backup. 6. When the backup process is complete, you can see all your Google Contacts backed up to your Spinbackup account.